This limited edition 1815 Tourbillon Handwerkskunst watch will only come in 30 units and will be making its debut at the next SIHH fine watchmaking trade show. At the next SIHH fine watchmaking trade show, which will be held in Geneva from January 18 to 22, 2016, the German luxury watchmaker A. Lange & Söhne will unveil a special limited edition of its 1815 Tourbillon watch. This prestigious timepiece will be the high point of the celebrations to mark two hundred years since the birth of Ferdinand Adolph Lange, A. Lange & Söhne's founder. At the 2016 SIHH show, a new Handwerkskunst (hand-crafted) version of the 1815 Tourbillon watch will be on display. It follows in the wake of other A. Lange & Söhne special limited editions since 2011. In concrete terms, that means the watch's features include rare finishing and engraving techniques on the dial and the movement. The 1815 Tourbillon Handwerkskunst model also combines two patented systems: the stop-seconds mechanism for a tourbillon and a zero-reset mechanism (invented by Lange in 2008 and 1997 respectively), enabling the watch to be set precisely to the second. For its fifth Handwerkskunst timepiece, A. Lange & Söhne has created a 39.5 mm diameter case in rose gold with a hand-engraved back. 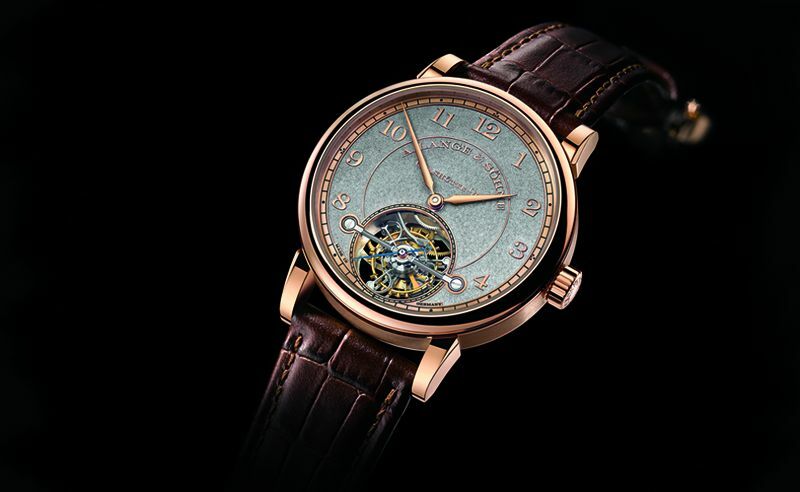 The dial - in rose gold and black rhodium - is different from former special limited edition models because of its engravings made using a meticulous technique known as "tremblé." The indices, brand name and numbers are embossed using this technique, creating a contrast with the surface of the dial. Another original aspect of the timepiece is the opening in the dial at 6 o'clock, through which the 60-second tourbillon can be seen. The watch is powered by a manually wound Lange caliber L102.1, decorated and assembled by hand, certain components of which are also decorated with engravings. The movement features hours, minutes and small second hands, in addition to the 60-second tourbillon with the stop-seconds mechanism and the zero-reset system, and a 72-hour power reserve after the watch is fully wound. Available in a limited edition of only 30 units, the watch will have a hand-stitched brown alligator strap, with a folding clasp in rose gold. More from A. Lange & Söhne: Take a look at what A. Lange & Söhne unveiled during Watches & Wonders 2015.